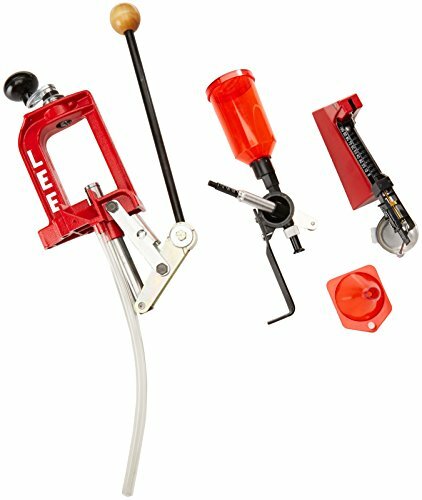 At the heart of the Lee Precision Anniversary Challenger II Kit is the Challenger Press, a strong O-frame press with a larger-than-average opening angled at 30° for maximum hand clearance. Compound leverage easily performs full-length sizing on even the largest magnum cases. There’s a built-in, easy-to-empty primer catcher. Complete powder-handling system, including the precise Perfect Powder Measure. Case preparation tools include a cutter and lock stud to trim cases, an inside/outside case mouth chamber tool, primer pocket cleaner, and a tube of premium sizing lube. You also get one Breech Lock Quick Change Bushing. This bushing makes changing dies a snap and accomplish the task in seconds. Once mounted on your die, you'll never have to adjust the die again unless you want to. It saves time, eliminates guesswork and ensures the consistency of your reloaded product. You spend less time fiddling and more time cranking out rounds. To use the case cutter and lock stud a specific shell holder and case length gauge is needed for each caliber to be trimmed.